Once I learned I was on the wrong part of the White Rock Trail to see the waterfalls, I could not wait to go back to hike the correct part of the trail to find them. The next nice day we had, Bodie and I once again set out for the Blue Ridge Mountains. Like before, we parked at mile marker 20 on the Blue Ridge Parkway, but this time we crossed the parkway to the trail head and began our hike. Within a few minutes of hiking, the trail crossed the creek. After crossing a second creek, I noticed a path leading from the trail down toward the creek. I figured this was the first waterfall, and I was correct. As I expected, being late in the season, there was not that much water flowing down the falls. I could tell that during the spring the falls would be much wider. Bodie and I stopped for a while to play in the pool at the base of the falls. Like before, it was still too cold for Bodie to go swimming, but he did get his feet wet and threw rocks in the pool. A few days ago, my friend Ben called me and told me that he was going to be driving up from Florida for an Xterra race in the area. For those of you who do not know, an Xterra is a triathlon (swim, bike, run), but the bike leg of the race is on mountain bikes instead of road bikes and usually on mountain trails. The run leg, like the bike, is also on trails instead of a road like in a normal triathlon. Ben told me he this race was going to be outside Charlottesville, Virginia, at the Walnut Creek in North Garden Park. I woke up one morning to let the dogs out, and when I opened the back door, I realized that the weather was going to be perfect for a hike. I grabbed Bodie, my backpack, camera gear, packed a lunch, and off we went for the day’s adventure. We headed up to the Blue Ridge Mountains in search of some waterfalls and swimming holes. Before we left, I found a trail that had a few small waterfalls along the way. According to the online guide, we could either start at mile marker 18 or 20 along the Blue Ridge Parkway. If we started at mile marker 18, it was a 1.5 mile hike to the White Rock Falls, but if we started at mile marker 20, then it was only a mile hike to the falls. Having to carry Bodie, our food and water, and my camera gear, we drove to mile marker 20. The guide also said that there were some other small waterfalls along the trail if we started at mile maker 20. On June 8 and 9 Greensboro, NC, hosted the South Atlantic Coast Water Polo Championship. Four teams from the northern division, Richmond, Hampton Roads, Wetskins, and Baltimore competed against the four teams from the southern division Triangle, Triad, Dynamo, and Charlotte. After two days of great games, Dynamo came out on top. With less than a month to go, Trisha and Brandon are getting very excited to welcome Savannah Grace in to the world! This past weekend in Richmond, Virginia, was the second of three tournaments in the South Atlantic Coast Water Polo Conference. The four teams that competed were Richmond, Hampton Roads, Baltimore, and the Wetskins (from D.C.). After a full day of great games, the Wetskins will go to the championship match in three weeks as the first seat team. The Richmond team will go as the second seat, Hampton Roads will go as the third seat, and finally Baltimore will go as the forth seat. The tournament will be held in Greensboro, North Carolina, on June 9th and 10th. This past weekend, in the nation's capital, was the first of three tournaments in the South Atlantic Coast Water Polo Conference. The five teams that completed were Richmond, Hampton Roads, Baltimore, Wetskins, and Navy. After two great days of play, Navy stood at the top of the leader board. The next tournament will be held in Virginia's capital on May 18 and 19. A beautiful spring day and Brandon and Trisha decided to have their maternity pictures taken at Maymont which is located in down town Richmond. It’s springtime, and if you’re like me, as soon as you step outside and hear all of the birds chirping, you run inside and grab your camera. But you face a problem: either the birds are too far away, or they are hidden in the trees and bushes. Here are a few tips to help attract the wild birds, so you can get some amazing picture from your porch. A lot of people have asked me “Do you have any tips to consistently get great images while shooting from a helicopter? What are your settings? ” To give a little background on myself and my experience, I was in the U.S. Navy for six years as a MH-60S Helicopter Crew Chief/ Rescue Swimmer. I have flown all over the States and the world in every situation imaginable. Whenever I was in the air, I always had my camera with me. Over the years, I made a lot of mistakes, but I learned from those mistakes and am willing to pass that knowledge on to you so that you can take my advice and not repeat the same mistakes I did. This past weekend, NC State hosted a Water Polo Tournament. For those of you who do not know what water polo is, it is a game with six field players and a goalie. The field players play both offense and defense by sprinting up and down the pool. The playing field is in the deep end of the pool, which means when the players are not sprinting, they are treading water. Water polo is considered one of the hardest if not the hardest sports in the world. I might be a little biased because I play for a team out of Richmond, VA. My team played in the tournament this past weekend, and when I was not in the pool playing, I was sitting on the pool deck with my camera capturing the action. 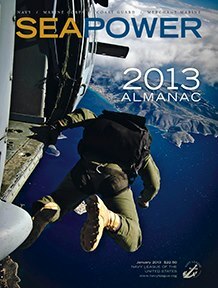 Seapower Magazine honored me by choosing my photo for the very popular annual Almanac Issue. My new friend Greg informed me how his family waits all year for the almanac issue to come out. It’s so popular that I haven’t been able to find an issue yet. I took this picture while working with Naval Special Warfare and U.S. Special Boat Team near Athens, Greece, during a training exercise. Once again, I was leaning out of the gunners window of a MH-60S Knighthawk. I was using my Nikon D50 with the 18-55 kit lens at 18mm 1/400sec F/8 ISO 200. My picture made the cover of Naval Aviation News Magazine!! I took this picture during a helicopter fast rope training operation in Rota, Spain. I was leaning out the gunners window of a MH-60S Helicopter with my Nikon D50 camera and the 18-55mm kit lens. My setting were 18mm, 1/400sec at F/6.3, ISO 200. 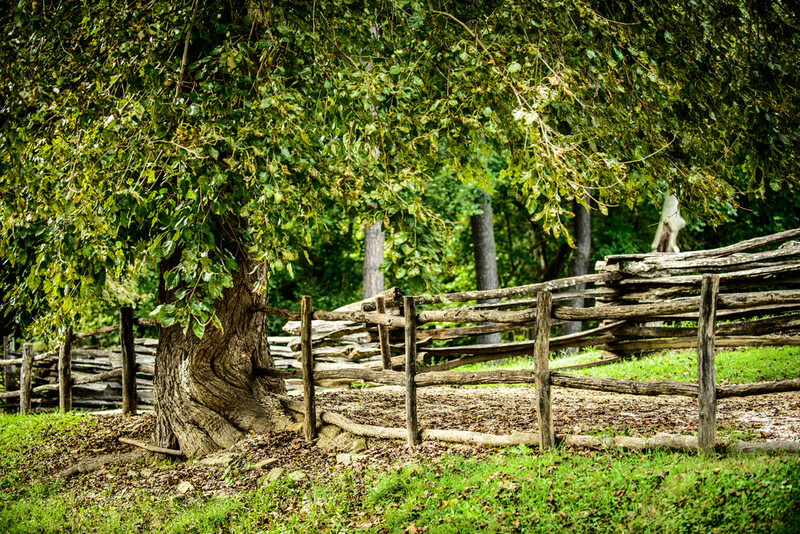 Colonial Williamsburg, Virginia is an awesome place to visit. 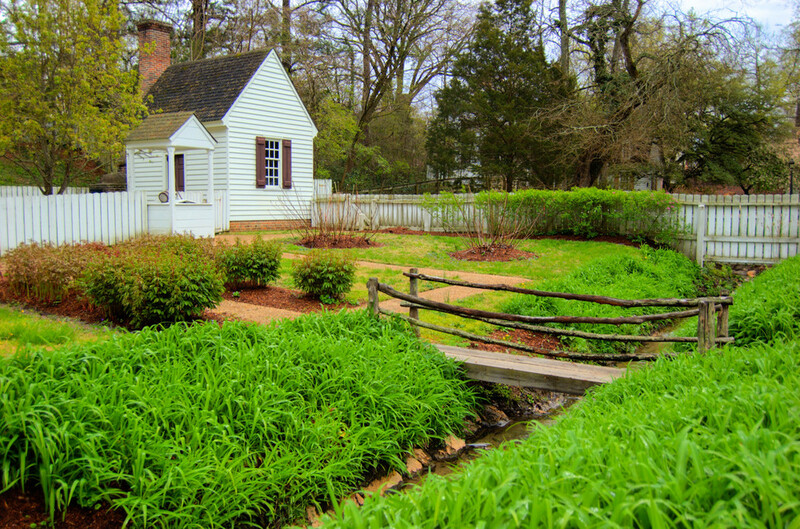 Located about 45 minutes southeast of Richmond, if you are in the area, it is a great place to spend a day. 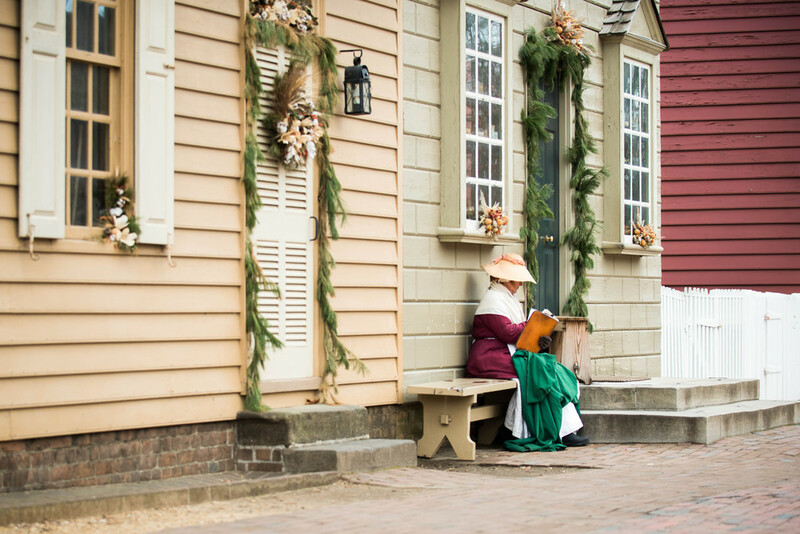 When walking around Colonial Williamsburg, it is like taking a time machine back to the 1700’s. All of the buildings are of the time period, and they even have people walking around in costume and in character. You can go inside most of the buildings to see how people lived and made things back then, and there are even taverns where you can eat colonial fare. I love going down there and taking candid pictures of the costumed interpreters. It’s a little tricky during the summer because there are a lot of visitors walking around. I try to frame my shoots with just historical people, buildings, or items in it. I think when a person that is dressed in modern clothes is in your frame, it ruins feel of the picture. At times, this can be very frustrating. For example: I’ve often missed a shot of a horse-drawn carriage that I patiently waited to get because a tourist or college student interrupted the image and background I was hoping to catch. On the bright side, I use these times waiting for the perfect shot to emerge make sure my camera settings and composition are correct, so hopefully next time when the carriage comes around, no one will be in the shot, and I can get the picture. If you do not want to wait for every tourist to be out of your shot, here is a tip: If you have a tripod, bring it. Compose your shot using the tripod, and then take the shot. Then wait until the tourist moves a little, and take another shot. When you get back to your computer, open all of the images in Photoshop, and using the clone tool, you can clone the tourist out of the final picture. All you have to do is select the image that doesn’t have the tourist in a certain area and switch back to the first image and clone them out of that area. Repeat until all of the tourists are gone. The key to this is the tripod so that all of the images are the composed exactly the same. 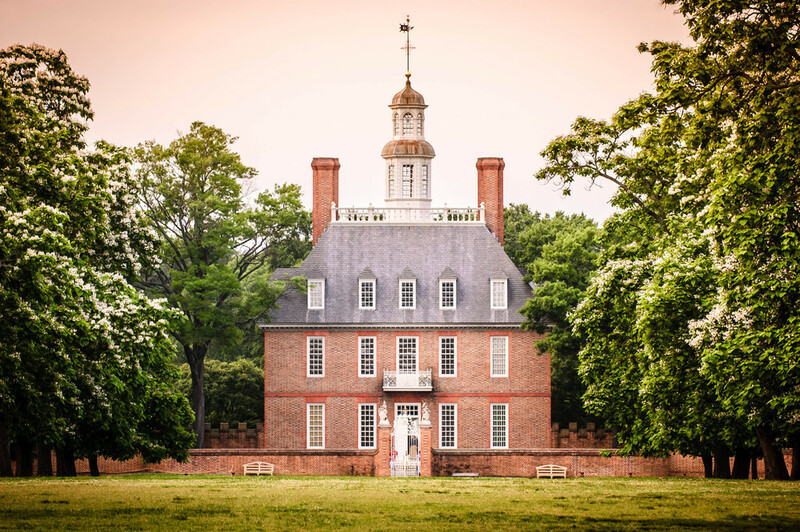 Every time I go to Williamsburg, I have a great time walking around and taking pictures of the historical town. If you are ever in the area, you should make a stop and check it out. Today when I woke up it was very foggy, well foggy for Virginia. I decided to get out to try and get a picture of the rolling hills with a barn in it. Well, Mother Nature did not corporate. Either I got a great looking barn and no fog or awesome fog and no barn. I did find a great tree however and with a little work walking around the area I composed my shot to make it look like a lone tree on a hill. Also, Just down the street from the tree I found a horse willing to pose for me. Even though I didn't get the shot I set out to get, I still had a good time and came back with some good pictures.